Already have your own large flat screen display? We also offer this product without the 50" for a reduced price. Please note that for the standard setup your display must be able to accept a HDMI video signal. If you have a display that uses VGA - let us know - we can change the setup to accommodate your system . Call and talk to one of our sales representatives for more information. 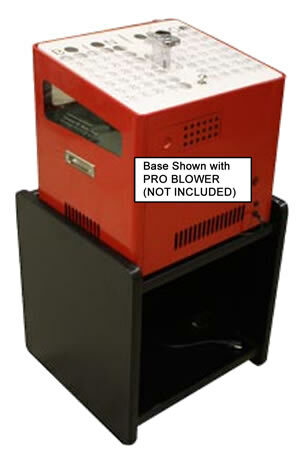 More Info..
Professional table top bingo blower for Senior Centers or Retirement Facilities. This quiet electric bingo blower mixes the bingo balls well. Place called balls on the master board on top of the machine. When the game is finished, lift the tray and all the balls drop back down into the blower. BRAND NEW PRODUCT - NOW IN STOCK! This is a combination of our best flashboard system and our highest value table top bingo blower. 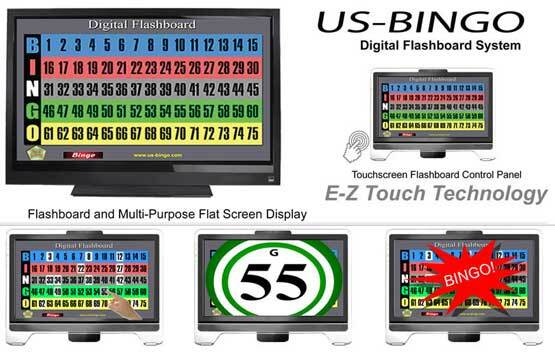 Digital Bingo Flashboard with 50" Flat Screen Flashboard Display and Touchscreen Flashboard Control Panel used for selecting the numbers. 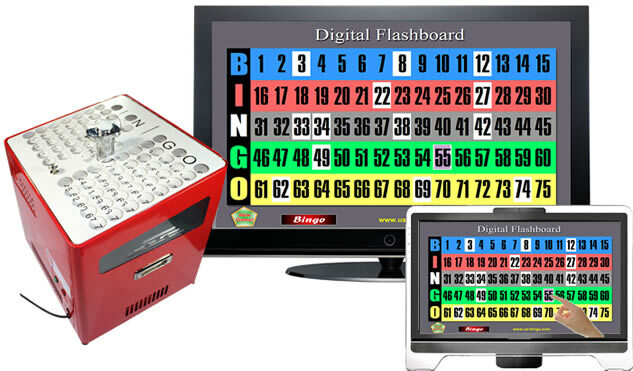 Our Digital Bingo flashboard is extremely easy to use. The 20" Touchscreen Control panel displays exactly what is on the larger 50" Flashboard display. When you pull a number from your bingo cage or bingo machine, simply touch the number on the Control Panel. Once touched, the number will pop up over the whole screen for approximately 20 seconds so everyone in the hall can see. Once back to the normal flashboard display, the last number called flashes so that your eyes jump right to it. 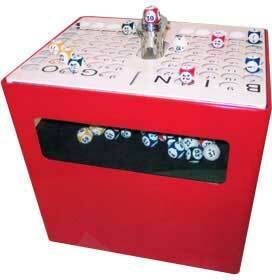 Professional table top bingo blower for Senior Centers or Retirement Facilities. This quiet electric bingo blower mixes the bingo balls well. Place called balls on the master board on top of the machine. When the game is finished, lift the tray and all the balls drop back down into the blower. Roll around base designed for our Professional Table Top Bingo Blower. Conveniently roll the blower where ever you need it - or roll it into storage when you don't need it. Height of shelf can be adjusted for comfortable blower operation when standing or seated. ADA compliant for wheelchair users. Shown with PRO BLOWER, BE-PRO-BLOWER - sold separately. More Info..